Kitty Powered Humidifier is the Cat's Meow! Kitty Powered Humidifier is the Cat’s Meow! No matter how much we adore our cats, it’s easy to feel like they aren’t always pulling their weight around the house — since they pretty much just sit around all day. 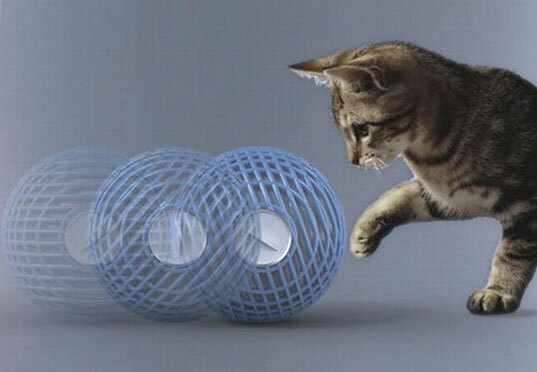 Well here’s a way to put your lazy kitty to work and reduce your electricity bill – a cat-powered humidifier! Designed by Yuan Gu, this ingenious humidifier and air purifier is recharged whenever your feline friend rolls the ball around to play. 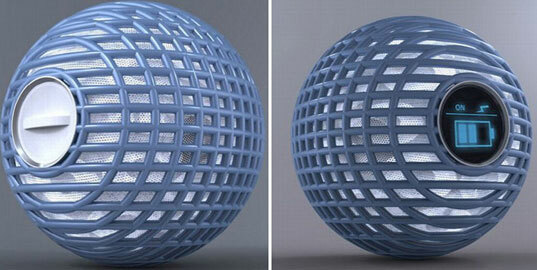 Called the Wool Ball, the device runs on hybrid electric/battery power. If kitty isn’t feeling playful, you can always plug the ball into an electrical outlet, and when he’s energetic again, you can rely on his play to recharge the internal battery. Don’t have a cat? A dog, toddler or even a spouse will work just as well! No matter how much we adore our cats, it's easy to feel like they aren't always pulling their weight around the house -- since they pretty much just sit around all day. Well here's a way to put your lazy kitty to work and reduce your electricity bill - a cat-powered humidifier! Designed by Yuan Gu, this ingenious humidifier and air purifier is recharged whenever your feline friend rolls the ball around to play.